Father's Day Cards Tell all the dads in your life just how great and admired they are with a Father's Day Card from Digs N Gifts. Father’s Day is the perfect opportunity to let your father, dad, grandfather, or husband know that they are appreciated and we have cards that will help you find the right words to communicate your feelings of love and admiration on this happy Father's Day occasion. Need a Gift Idea for Dad? 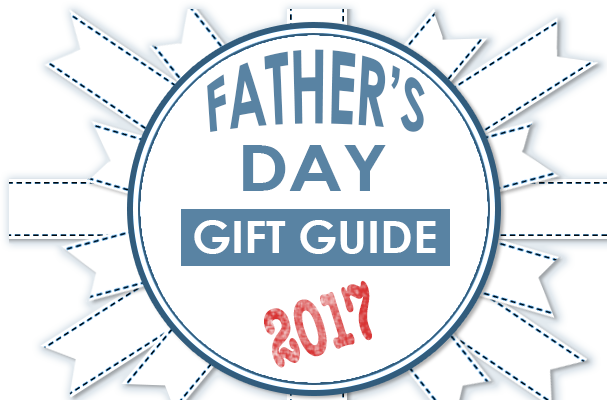 Check our Digs N Gifts Father's Day Gift Guide. Front: happy FATHERS day. Inside: To an all-around great dad and wonderful person. Father’s Day Cards by Papyrus Greetings Cards and More Perfect for any Occassion. Front: Whether it was….hot dog night, taco night or frozen food night… Inside: your cooking was always my favorite. Happy Father’s Day. 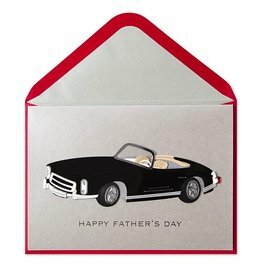 Father’s Day cards by Papyrus Greetings Cards and More Perfect for the Occassion. Front: Happy Father's Day.,Inside: Have a great day and make sure you build in some time for yourself.,Father’s Day cards by Papyrus Greetings Cards and More Perfect for any Occassion. Front: DAD.,Inside: Wishing the best dad ever a happy and relaxing Father's Day…You Deserve It!,Father’s Day cards by Papyrus Greetings Cards and More Perfect for any Occassion. Front: Grandpa. Inside: Sending my wonderful Grandpa lots of love and hugs on Father's Day. Father’s Day cards by Papyrus Greetings Cards and More Perfect for any Occassion. Front: Team Dad - love you dad. Inside: Wishing you a grand slam kind of day! Happy Father’s Day. Father’s Day cards by Papyrus Greetings Cards and More Perfect for celebrating Dad this Father's Day. Front: You make the cut, U totally rock, You’re a winner! Inside: Cheers to a great guy and terrific dad on Father’s Day. Father’s Day cards by Papyrus Greetings Cards and More Perfect for the Occassion. Front: Blank. Inside: Tee Off for a fantastic day Happy Fathers Day. Father’s Day Cards by Papyrus Greetings Cards and More Perfect for the Occassion. Front: I (Heart) my Daddy . Inside: Your The Best! Happy Fathers Day. Father’s Day Cards by Papyrus Greetings Cards and More Perfect for the Occassion. Fathers Day card. Cocktail silhouettes are layered on a retro gold backdrop to create this cool Fathers Day card. Front: Cheers. Inside: A toast to you on Fathers Day. Papyrus Greetings Cards and More Perfect for any Occassion. 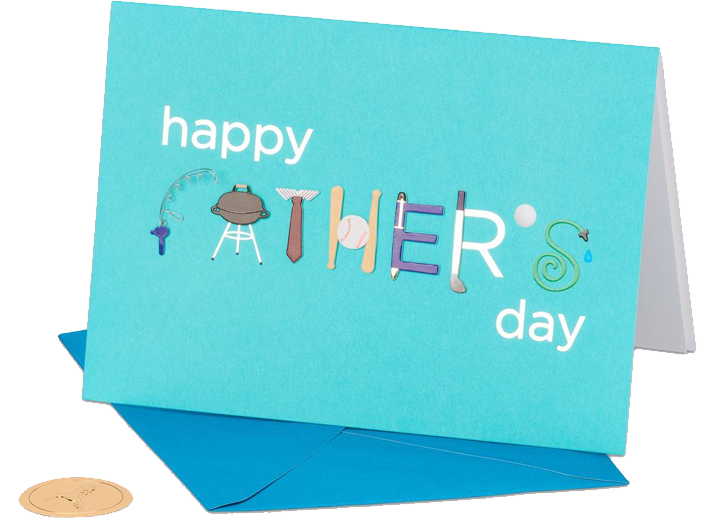 Front: Blank.,Inside: Always there with a guiding hand - dependable and loving - warm and wonderful - that's you, Dad -Thanks for all you do everyday - Happy Father's Day.,Father’s Day cards by Papyrus Greetings Cards and More Perfect for any Occassion. Inside Reads: - Relax and enjoy your special day. 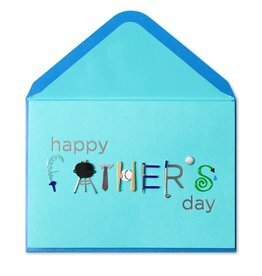 Happy Father's Day - Single Greeting Card with Envelope. Caspari Stationery and Greeting Cards. Paper Products for Entertaining. Inside Reads: - Hats off to the best Dad around Happy Father's Day - Single Greeting Card Size: 4.5Wx6.75H Folded. with Envelope. Caspari Stationery and Greeting Cards. Paper Products for Entertaining. Front: Blank. Inside: I like the way you think. Happy Father’s Day. Single Greeting Card with Envelope. Portal Publications Greeting Cards for Dad and Father’s Day. Front: Blank. Inside: I’m a lucky pup to have you as a pop! Happy Father’s Day. Single Greeting Card with Envelope. Portal Publications Greeting Cards for Dad and Father’s Day.